Excellent location. 1 mins from the metro. Right at the city center. In a great location. The owners were easy to communicate with and we were able to check in with a lock box after hours. The room was very comfortable and in a beautiful location in Lausanne. It was a fantastic base and we had a wonderful time in Switzerland. There was also a nice place to sit around a dining table. Extremely well placed to metro and walking to things. Quaint studio with kitchen. Popluar area on weekend with market on Saturdays. Besure to grocery shop early. Close at 7 pm and closed on Sundays. 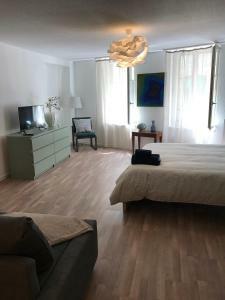 The studio is super clean, very close to the metro station and to the shopping area. The staff was friendly and helpful. Great for money as it is really affordable. 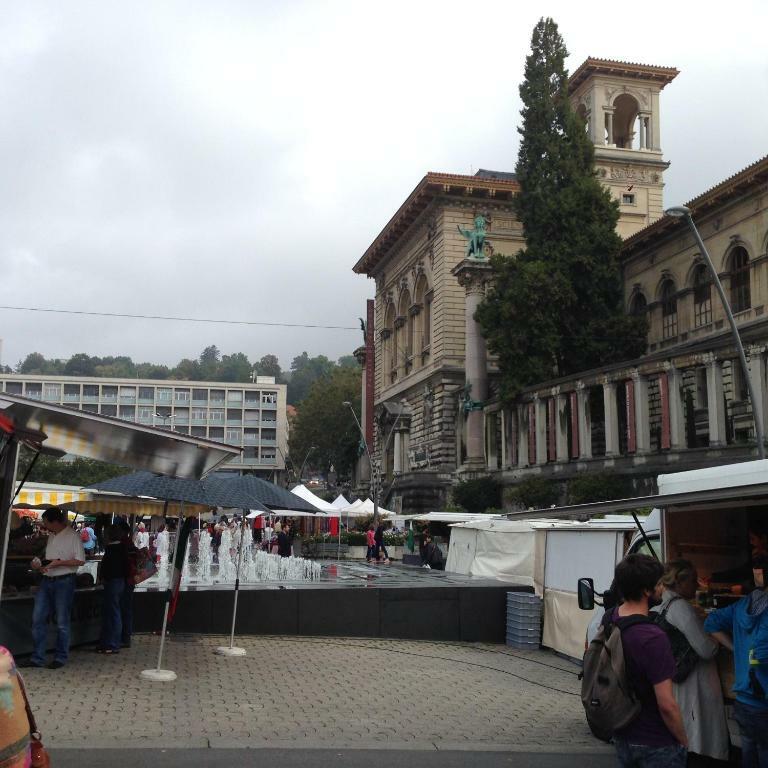 Very clean, spacious and the place is right in the centre of Lausanne. All within walking distance for shops and restaurants. I was there with a friend of mine for the marathon and we had a very pleasant stay at Si...Eva's studio : very comfy, quiet and pleasant place. 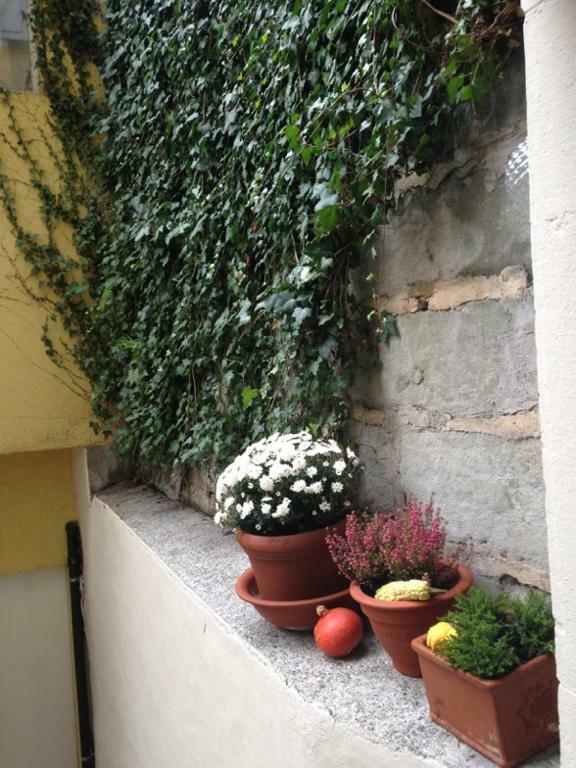 Located close to the Cathedral, in the historic Lausanne, you'll have to climb a little bit to enjoy your studio. We liked our stay overthere ! Staff members were polite. The apartment was spacious and in a vibrant location. Linens, towels and toiletries provided. Overall I really recommend it. Lock in a great price for Studio Si...Eva – rated 8.2 by recent guests! One of our top picks in Lausanne.Si...Eva is a stylish and modern studio apartment located in Lausanne, 2,300 feet from the main railway station, and offers free WiFi and a living area with a sofa bed. The closest Riponne-M. Béjart Metro Stop is 350 feet away and the apartment is located in the old city center. The accommodations unit consists of a large living and sleeping area with a double bed and a sofa bed and a flat-screen cable TV. The fully equipped kitchen with a fridge and a dining area is separated from the main living area by a glass wall. Si…Eva’s bathroom is fitted with a shower, a hairdryer and free toiletries and the apartment comes with wooden floors. Many restaurants, as well as public parking spaces are reachable within 350 feet. Geneva International Airport is located 32 mi from the premises. 뀐 Located in the real heart of Lausanne, this property has an excellent location score of 9.3! When would you like to stay at Studio Si...Eva? Public parking is available at a location nearby (reservation is not needed) and costs CHF 3 per hour. This apartment has a private entrance, stovetop and kitchen. En plein centre de Lausanne a 50m de l'Hôtel de Ville et de la Station du Métro - Riponne-Béjart. 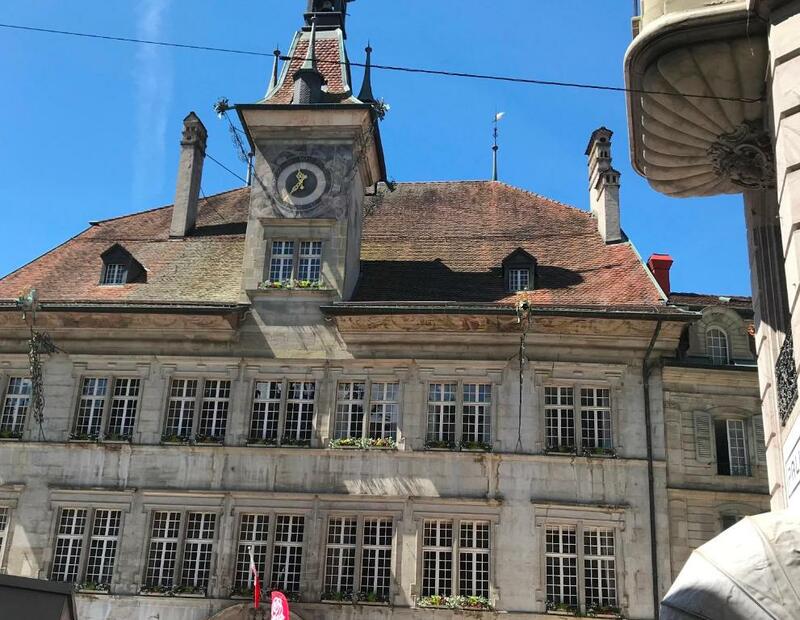 Restaurants , commerces , Vielle Ville , Flon , divertissements tout au tour. Au calme sur rue piétonne. Area Info – This neighborhood is a great choice for travelers interested in cathedrals, shopping and culture – Check location Excellent location – show map Guests loved walking around the neighborhood! House Rules Studio Si...Eva takes special requests – add in the next step! A CHF100 damage deposit is required on arrival (around USD98.66). This deposit will be fully refunded 7 days after check-out, as long as there isn't any damage to the property. A damage deposit of CHF 100 is required on arrival. That's about 98.66USD. This will be collected by credit card. You should be reimbursed within 7 days of check-out. Your deposit will be refunded in full by credit card, subject to an inspection of the property. Kitchenwares were not clean and were not really enough to cook. The location is in the center of the city center! Comfortable bed and nice touch in the decorations choice. No ceiling lights. All equipped with lamps was quite annoying if you wanted to whole apartment to be well lit with lights you will have to turn all the lamps other than just having one. But if you want a well dimmed place then it’s okay turning on 1 lamp. The bathroom is a bit inconvenient when showering. No elevator so it’s not ideal for group traveling with big luggages. They should leave a city map and maybe some information on the city. We had to travel back to the train station for a city map. The kitchen and bathroom facilities were just adequate. Certainly did the job, but a bit older in quality. Maybe it'll be good to provide some salt/oil for cooking ? Floor was not cleaned. In the advertisement parking seems to be included but it is not. Some furniture seemed neglected. 1.the staircase very steep (around 27-30steps) and not suitable for elderly with walking difficulties or if you are carry big luggage. 2.Host very unfriendly.When I cant find the place and request for help,he said he never do that before.When i emailed him for enquiry,his reply is very unhelpful. 3.Location surrounded by a lot of history churches and building. 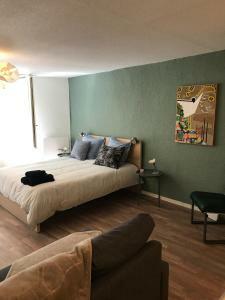 4.The area is noisy in midnight time and the room sound proof is very bad,we couldnt sleep in night,can hear upstairs resident walking clearly and people shouting outside. Host canceled without warning over card, that I would have been able to rectify. Made a 2nd reservation for more money. Not happy with host. Not enough kitchen or bathroom towels for a five day stay. They were lacking quality and number. Felt cheated as if we should not take showers. shower only hand held no rod with shower curtain that is too long to keep water from splahing out of shower base. Not a long term solution as I am sure others will get water on the floor. Crazy large roll toilet paper dispenser we could not reload.